I love eggs but avoid the yolks as I’ve gotten older to insure my cholesterol stays within a healthy range. Eggs are very high in protein and will sustain you through a better part of the day, besides the fact that they taste so good, especially when paired with all your favorite veggies, meats, cheese, or whatever you like to add to them. When my friend at Melissa’s Produce sent me their new cookbook DYPs (Dutch Yellow Potatoes) The Perfect Everyday Potato along with a nice big bag of DYPs I knew I wanted to make something other than the traditional potato dishes. The cookbook was filled with over 200 pages of recipes for these cute little potatoes sorted out by season. However, when I came across a Frittata I thought, “wow I’ve never made a frittata with potatoes in it.” But why not? It made perfect sense especially since I love my eggs with hash browns, although I rarely indulge in those anymore. While the recipe in the book sounded positively decadent, I decided to make mine with ingredients I had on hand, plus using the DYPs, and serve it for dinner with some fresh fruit on the side. I mean who doesn’t love breakfast for dinner? Since my family avoids egg yolks I made this with a 32 ounce carton of “All Whites” egg whites. It was incredibly delicious and the potatoes added that extra flavor and moistness to the pie. 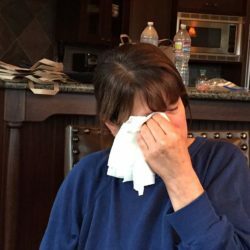 It was so good in fact, my daughter and I had it for lunch the next day, while my husband gradually ate off of a triangle he’d cut for himself the next day, and left sitting in the refrigerator for occasional nibbles. For those of you not familiar with frittata’s, a frittata is an egg-based Italian dish similar to an omelette or crustless quiche, enriched with additional ingredients such as meats, vegetables, cheese or pasta. The word frittata is Italian and translates to “fried”. Although I don’t consider this to be fried, but baked. Be sure to use a non-stick pan that’s oven safe, to insure easy removal of your frittata. Nothing’s worse than making a beautful dish only to have it stick or fall apart upon removal. I hope you’ll try my recipe or create your own. Don’t forget to pick up a bag of Melissa’s DYPs at the store, they were the “icing on the cake” so to speak, making this the best frittata we’ve had in years. If you’re a potato fan I highly recommend ordering Melissa’s DYPs The Perfect Everyday Potato Cookbook. It will have you trying scrumptious potato recipes you never imagined! While you’re at it check out Melissa’s other cookbooks as well. Frittata’s are ideal when serving a crowd and with the holidays just weeks away this would be perfect to serve your out-of-town guests for breakfast. I do hope you’ll try this. In a large, oven safe saute pan, heat the olive oil and butter over medium heat. Pour the egg whites over the vegetable mixture and sprinkle with cheese. Stir to blend. If desired add additional seasoning or herbs. Place saute pan into the oven, uncovered, and bake for 20-25 minutes, or until eggs have set. 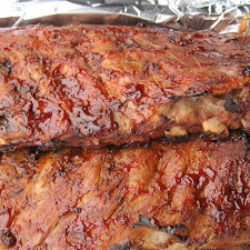 Remove from oven and cut into wedges to serve. Notes: Sub out whatever ingredients you prefer for your Frittata. 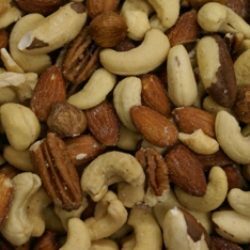 Other alternatives could be peppers, spinach, cauliflower, asparagus, shallots, cheese of choice or whatever else suits your palate. 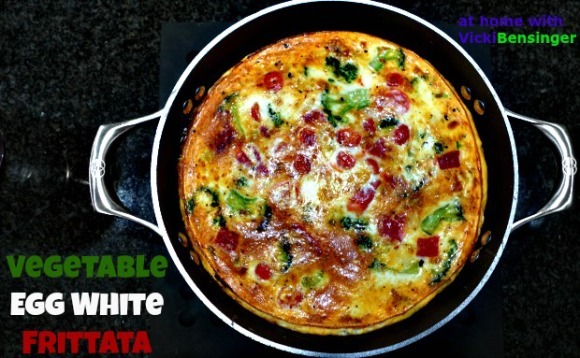 Have fun creating your own frittata and simply use my recipe as a template. Would love this for lunch! Then you should try it. Create your own but just be sure to use an oven safe non-stick pan otherwise it can be a nightmare to release from the pan. Thanks for your comments. I love Frittatas (with or without yolks). we eat them for breakfast…and for lunch sometimes! This one sounds awesome! I think they make a great all around meal and something I often forget about. I hope you’ll try this. What a delicious frittata! I need to eat more protein, and this looks like a delicious idea for breakfast, lunch AND dinner! Eggs are a terrific source of protein. I prefer egg whites to the entire egg not just for the cholesterol but a whole cooked egg for whatever reason gives me a stomach ache. Frittata’s are great for any meal. A very healthy and delicious firttata. This is great for any meal, Vicki. I love a frittata! And potatoes work so well in them (the classic Spanish one that uses potatoes is wonderful). This looks terrific — thanks. 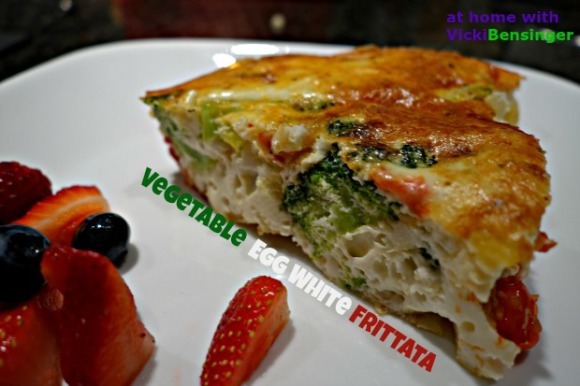 What a delicious way to prepare frittata, Vicki.. They are really so versatile and delicious! 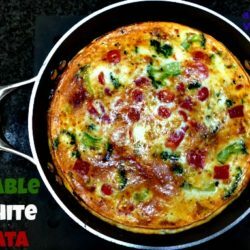 What I love about frittata’s is you can literally use veggies and meats in your refrigerator that you may not have enough of for any other dish and when combined in a frittata makes a wholesome and delicious meal. I guess that might be a personal preference but I can tell you that my egg white frittata was delicious and everyone else in my family thought so as well. Give it a try and let me know what you think. These are really so so beautiful and look so delicious. I have a family full of egg fans :). I do not like to eat egg whites alone, I always get the feeling that there is something missing!!!. May be when it is combined with potato and other rich ingredients, I will not get this taste I get with only egg white. Thanks for the healthy recipe. Amira you can certainly use whole eggs and I know it would be delicious. I would do a dozen (12) eggs when making this. I’m sure your family would love it. Beautiful frigate Vicki…you just reminded me that I have had one for a while…I like the idea of egg whites only and yes, lot soft vegetables. 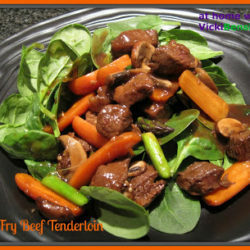 It looks so light and fluffy and delicious with all those good vegetables! Jus right for breakfast on these cooler mornings. This frittata looks amazing so fluffy and the idea to use only egg whites is fantastic,it makes the frittata so much lighter and healthier. It has been proven to date that eggs yolks do not raise your cholesterol as once thought. You can eat those yolks just remember to eat everything in moderation.